Following the critically acclaimed run of The Djinns of Eidgah at the Royal Court in 2013, young Indian playwright Abhishek Majumdar returns to the Royal Court Theatre with a brand new thought provoking drama exploring culture, conflict and when the two collide. Based on the violent events of the 2008 Lhasa Riots in Tibet, Pah-La draws on the experiences of Tibetans Majumdar worked and conversed with in his home country of India and offers an eye-opening vision of the future of protest and non-violence. 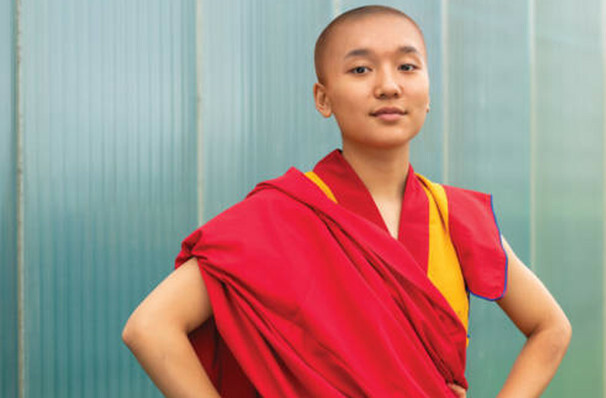 Pah-La is set to heighten the political and cultural awareness of British audiences with its arresting story about Deshar, a young runaway from a rural Tibetan village who has disowned her father and become a buddhist nun. Her arc runs parallel to that of Lhasa-based Chinese commander Deng, who is so focused on his duties his home life suffers in the process. When their paths cross after Deshar commits an act of defiance that grabs the entire country's attention, the consequences of her actions change their lives, and the lives of those around them, forever. Seen Pah-La? Loved it? Hated it? Sound good to you? Share this page on social media and let your friends know about Pah-La at Jerwood Theatre Upstairs. Please note: The term Jerwood Theatre Upstairs and/or Pah-La as well as all associated graphics, logos, and/or other trademarks, tradenames or copyrights are the property of the Jerwood Theatre Upstairs and/or Pah-La and are used herein for factual descriptive purposes only. We are in no way associated with or authorized by the Jerwood Theatre Upstairs and/or Pah-La and neither that entity nor any of its affiliates have licensed or endorsed us to sell tickets, goods and or services in conjunction with their events.